Disclosure: We’ve been compensated in promotional swag to help spread the word about Remember Me Thursday. The Broke Dog only shares information that we feel is important or interesting to our readers. 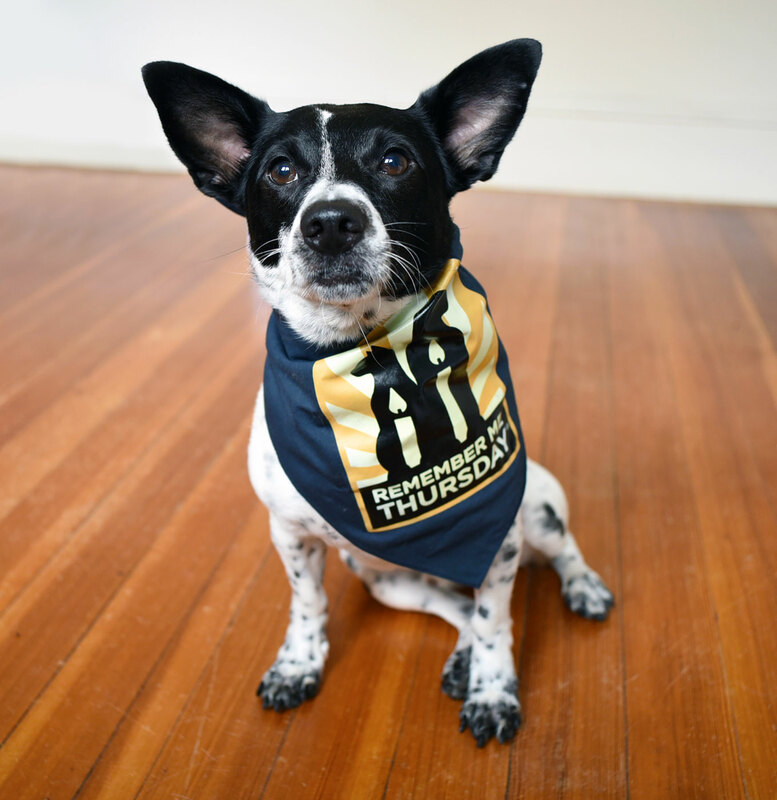 Now entering its fifth year, Remember Me Thursday is a day dedicated to remembering the pets waiting in shelters for their forever homes. 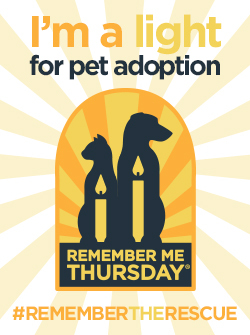 Over 700 animal welfare organizations in over 180 countries participate by holding candle-lighting ceremonies, spreading the work on social media, visiting the Remember Me Thursday website, or lighting a virtual candle. According to the ASPCA, about 6.5 million companion animals enter U.S. animal shelters each year. Remember Me Thursday’s website estimates that approximately 2.7 million of those are euthanized each year. The Humane Society of the United States estimates that only 30% of US pets come from rescue facilities. Wouldn’t it be great if we can increase that percentage and decrease euthanasia? 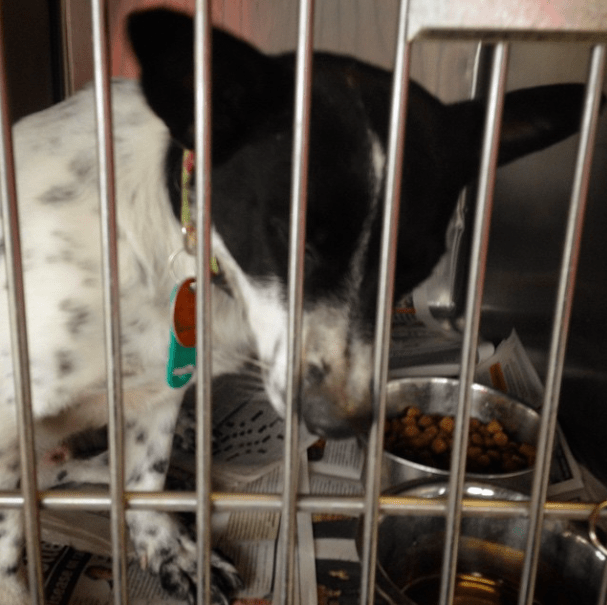 Animals in shelters deserve loving homes, rather than tragic endings. 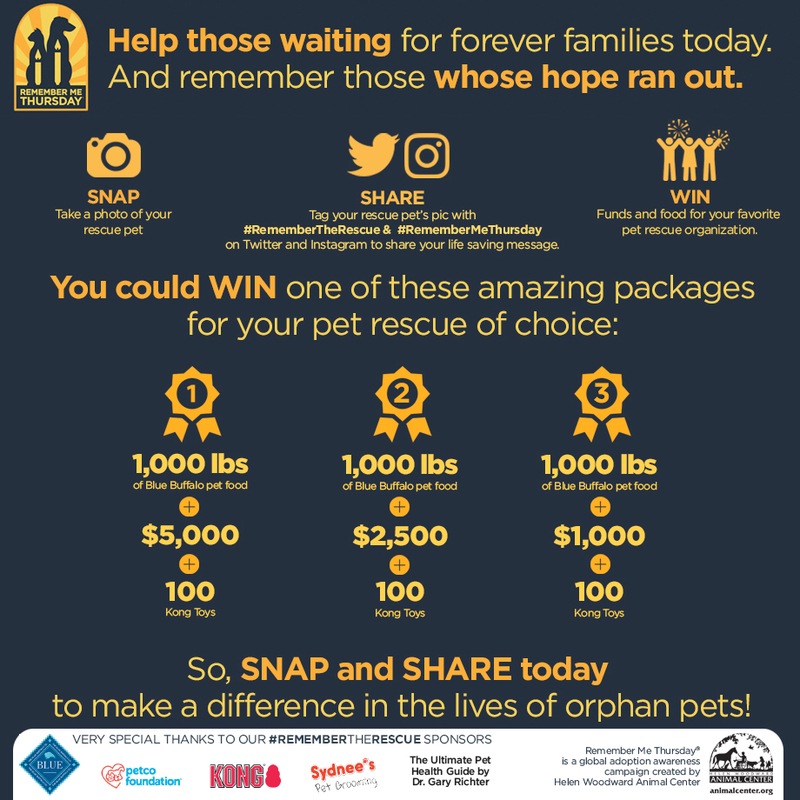 Together, we can help find more forever homes by educating the world about pet adoption! I’ve only ever had rescue dogs — my parents adopted Rory, a sweet shepherd mix, a year before I was born. 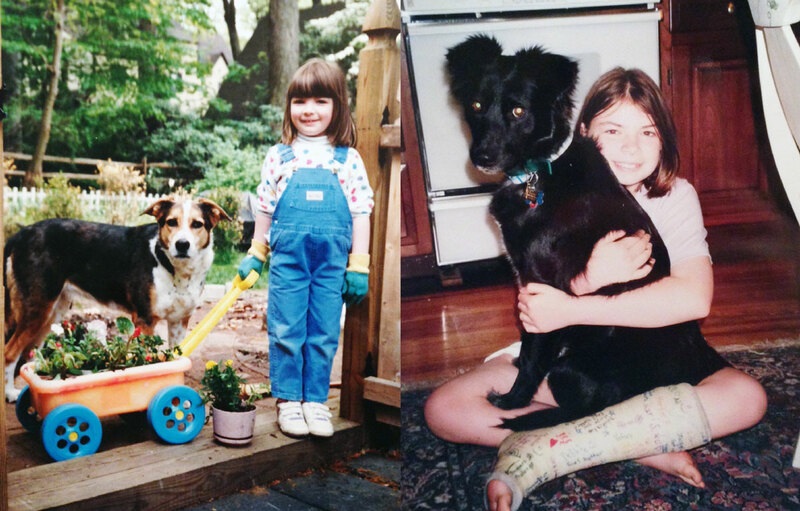 We added our Border Collie mix Tux to the clan when I was eleven years old. Ad a result, I knew that rescue was the way I would go. If you regularly follow us, there’s a good chance that you already know Henry’s story: he was picked up as a stray in Arkansas with heartworm and an injured leg, cared for by the wonderful people at A Love For Animals Rescue, and eventually transported to Sean Casey Animal Rescue in Brooklyn, where he received the rest of his medical care. You can read the whole story on our About Page! Henry is a great dog and, despite his maladies, I am so glad that I rescued him. Let’s Light Up Social Media! Light a physical candle, or just “light up” social media with posts raising awareness! 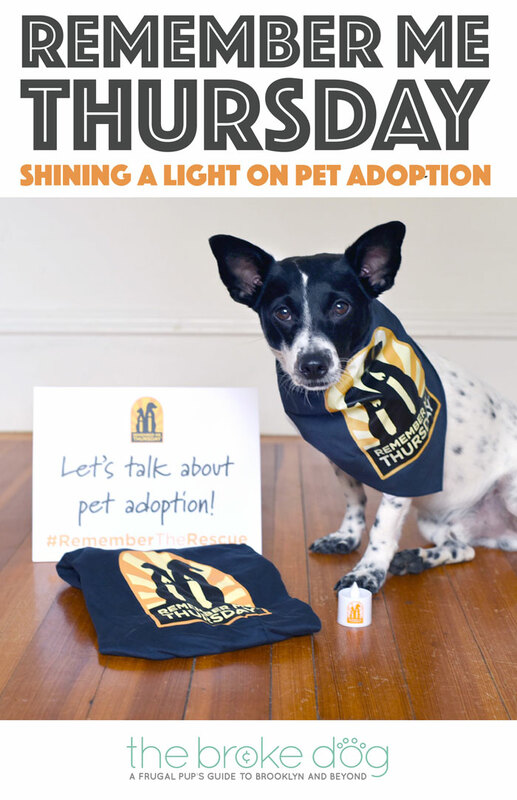 Use hashtags #RememberTheRescue and #RememberMeThursday on September 28th to help spread the word on Twitter and Instagram. Feel free to also share your rescue pet’s story or what you’re doing to raise awareness. In addition to raising awareness, you can win a prize pack for your favorite rescue organization! Learn more in the below graphic and at the Remember Me Thursday site. Do you have a favorite rescue pet? How do you spread the word about adoption? 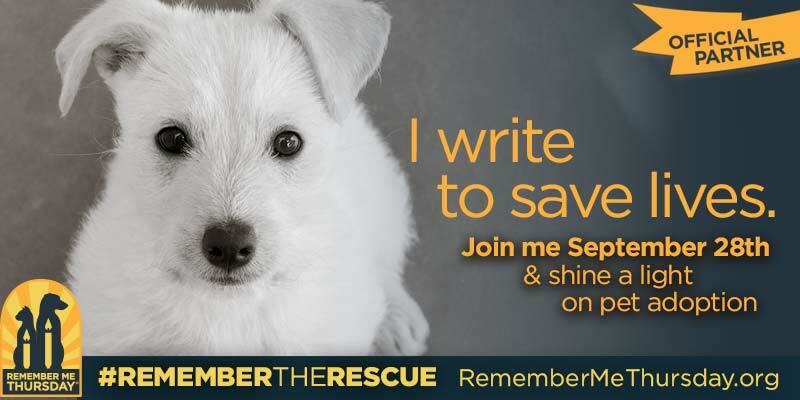 What will you do to #RememberTheRescue on Remember Me Thursday? Let us know in the comments! Learn more about Remember Me Thursday at the Remember Me Thursday website! none of my previous dogs have ever been so loving and cuddly and seems to crave contact with humans. Awww I’m so glad she found her way to you! Sounds like Miss Maizie hit the jackpot ❤️ Thank you for sharing her story!